Oil giants Shell and Taqa have announced plans to cut hundreds of North Sea jobs. Staff and agency contractors based in Aberdeen and on installations in the North Sea were informed on Thursday. Earlier, Taqa said it planned to cut about 100 jobs because of the "challenging" time facing the industry. Shell's upstream vice president for the UK and Ireland, Paul Goodfellow, said: "The North Sea has been a challenging operating environment for some time. "Reforms to the fiscal regime announced in the budget are a step in the right direction, but the industry must redouble its efforts to tackle costs and improve profitability if the North Sea is to continue to attract investment." He added: "Current market conditions make it even more important that we ensure our business is competitive. "Changes are vital if it is to be sustainable. They will be implemented without compromising our commitment to the safety of our people and the integrity of our assets." The cuts are in addition to 250 redundancies announced by the company last August. Taqa said it was consulting with the workforce on plans to cut 100 jobs - mostly contractors and consultants working in onshore positions. It is the latest in a series of redundancy announcements by North Sea operators, following a fall in oil prices and rising production costs. BP and Chevron are among the other firms to have cut jobs. A Taqa spokesperson said: "Taqa's UK North Sea business, along with the industry as a whole, is operating in a challenging environment. "As part of our focus to ensure Taqa's sustainable future in the UK, regrettably it is necessary for us to scale back the number of people working with us. "The impact of these changes will predominately be on contractors and consultants. "We are currently proposing a reduction of around 100 onshore positions, but the process will take a number of weeks and involve consultation with our workforce. "Our workforce are fully informed on the proposed changes and we will work to support and guide them through the process." Responding to the announcements, Oil & Gas UK's economics director Mike Tholen said: "The new Oil and Gas Authority is progressing apace and the Budget announcement last week laid the foundations for the regeneration of the UK North Sea. "As we said at the time, however, it is crucial that the industry itself now builds on this by delivering the cost and efficiency improvements required to secure its competitiveness. "While these are tough decisions to take given the impact on people, the measures are being taken by many companies and will allow the UK to benefit in the long-term from a boost to energy security, hundreds of thousands of highly skilled jobs and billions of pounds worth of supply chain exports." The union Unite claimed there was a "dangerous and quickening race to the bottom" on jobs, terms, conditions and safety in the UK's offshore oil and gas industry. Unite Scottish secretary Pat Rafferty said: "Only last week the industry got everything it wanted from the Chancellor in the form of a £1.3bn tax break, which industry voices claimed was necessary to boost growth and sustainability. "Instead the cut and gut of ordinary offshore workers' livelihoods and terms and conditions goes unchallenged while executive pay across oil company majors goes through the roof." The job loss announcements came as a report by energy data analysts Wood Mackenzie warned that global oil and gas exploration activity could be "significantly curtailed" this year as a result of average budget cuts of 30% by firms in response to low oil prices. 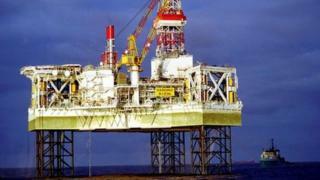 However, it said average exploration costs would fall by 33%, softening the blow of the cuts. Wood Mackenzie added that although overall well numbers would dip this year, drilling activity was set to recover in 2016 as many explorers seized their chance to drill at lower costs. Andrew Latham, from Wood Mackenzie, said: "Rising costs are not a new problem for explorers. "Over this decade, inflation has more than offset price gains and left much of the industry struggling to create value. "Now that prices have fallen sharply, this problem has become acute. In the short term, many explorers will react by simply spending less. But what they really need is lower costs."